When visiting Children’s Hospital at Erlanger, it doesn’t take long to recognize how invaluable Child Life Specialists are. 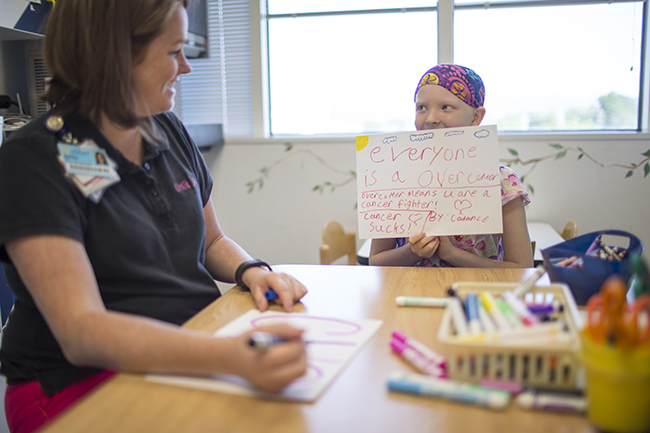 They’re in every area of the hospital, donning their pink and black uniforms, and spreading joy at every opportunity. The field of “child life” began more than 50 years ago at a time when it was uncommon for parents to be included in a child’s hospital care. Parents often visited their sick children only during visiting hours or on weekends. Since then, Child Life advocates have worked hard to prove how important it is to empower children and their families during diagnosis, care, and recovery. When Lois Simpson graduated from college, she turned to a recruiter for help in job placement. The recruiter suggested she go into Child Life. “Once I got started, I knew this was for me,” Lois said. With her original title, “Child Life Assistant,” she worked under a Director of Physical Therapy, and under the supervision of a social worker. Today, applicants require a Child Life Certification for the job (and many colleges offer degrees specific to the field). Lois entered the field before those resources were available, but has since accomplished certification. “My, how things have changed,” she laughed. Currently, Lois serves as the Senior Child Life Specialist, and is celebrating her 30th year in Child Life. “My favorite part is the pet therapy program. There’s nothing more exciting than seeing a child’s face light up when one of his or her furry friends rounds the corner.” Four days per week, hospital-approved dogs and their owners visit the inpatient floors and outpatient clinics. Lois makes the rounds with the pets and owners, ensuring the visits stay on track and positive. Madeline always knew that she wanted to work with kids, but she was unsure how to translate her passion into a career. Though she began as an Elementary Education major at Mississippi State University, her family’s medical background played into her decision to choose Child Life. 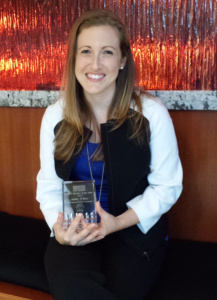 After an internship at Vanderbilt University, she joined the team at Children’s Hospital at Erlanger. A Georgia native, Ashley began her Child Life adventure at Georgia Southern University. As an IT major, she took an elective Child Life class that changed her academic path as well as her life. 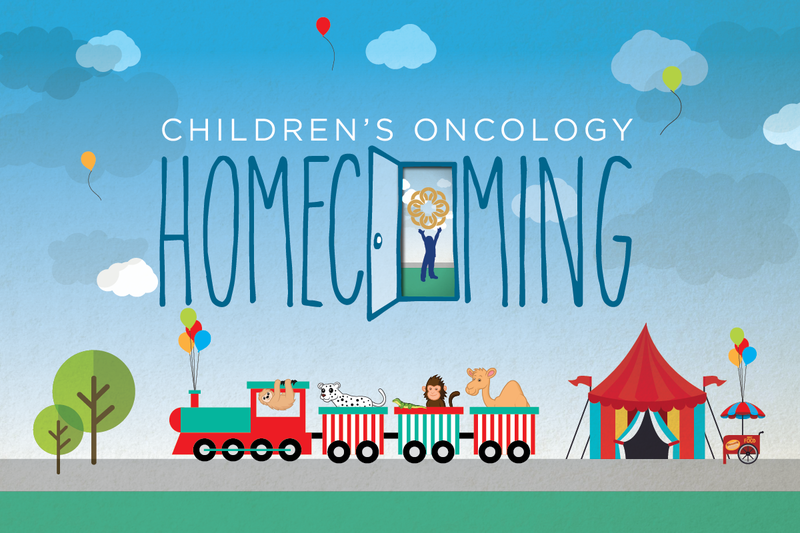 This summer will mark nine years since Ashley first joined the team at Children’s Hospital at Erlanger, and she couldn’t be happier. “I love my job! I get to have my dream job,” Ashley said. In fact, she was featured in the Chattanooga Times Free Press in 2011 describing her dream job. In addition to her regular area, Jennifer is now pioneering a Child Life program in the Children’s Hospital Neonatal Intensive Care Unit (NICU). “The babies that I care for in our NICU are there 6 to 9 months on average — these long-term patients need extra support when family is away.” She is hopeful this program will grow as the benefits of this added care are recognized. 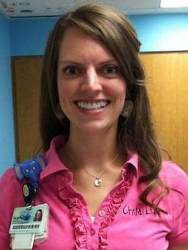 The newest member of the Child Life team, Nicole Tetzlaff can be found in the Emergency Department. After completing her practicum — a part of Child Life Certification that helps specialists gain experience — at Children’s Hospital at Erlanger, she finished an internship and obtained her certification. Now, Nicole is wrapping up her first month, and she wouldn’t want to be anywhere else. At four shifts per month, Ruth Downey makes the 240-mile round-trip journey to Children’s Hospital and back from Anniston, Alabama. 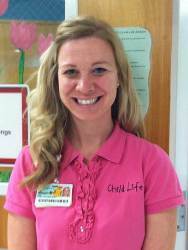 Ruth is one of two Child Life Specialists currently working part-time at Children’s Hospital at Erlanger. 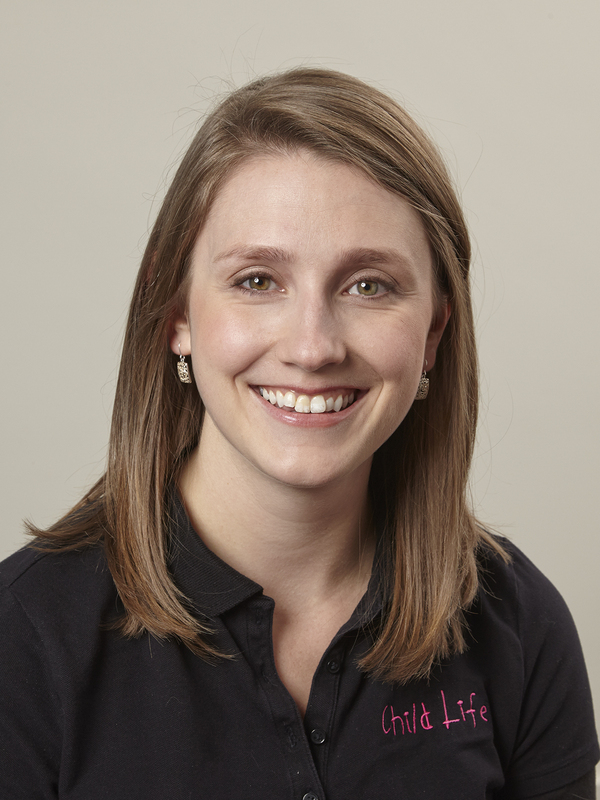 In addition to her work with Children’s Hospital, Ruth is also a teacher at the University of Tennessee at Chattanooga. Part of the Child Life Certification process is for future specialists to have completed a course taught by a Certified Child Life Specialist. 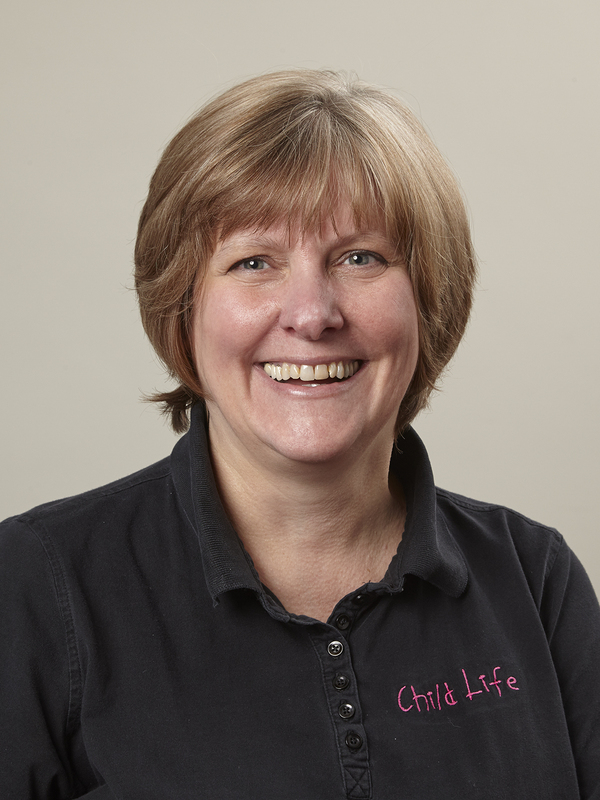 Ruth teaches mostly online classes, helping Child Life hopefuls nationwide reach their goals. Maggie had initially considered a career in nursing, but her orientation at The University of Alabama helped her to realize she needed a new direction. Through volunteer work at Huntsville Hospital for Women and Children she was drawn to Child Life. 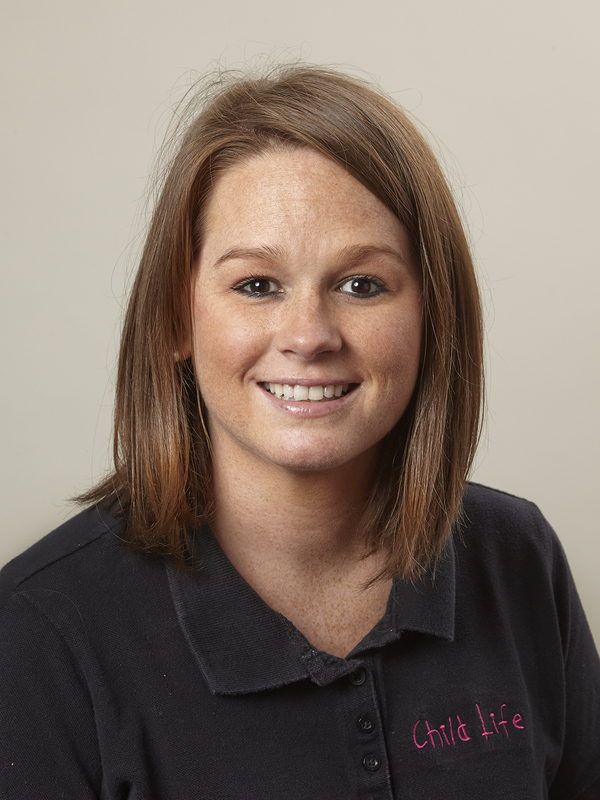 Maggie not only completed her Master’s Degree in Family Studies and Child Development at the University of Southern Mississippi, but also gained valuable experience through an internship at Cincinnati Children’s Hospital. Then, Maggie accepted a position at Children’s Hospital at Erlanger. After three or four years of helping children in the Emergency Room, Maggie moved to the Intensive Care Unit and Inpatient Care (with Lois). “My favorite part is walking into a room and explaining to a child what’s happening. When I leave, they are less scared.” For Maggie, normalization is key to helping kids through tough times. “One of my patients had to spend her birthday in the hospital, and we were able to bake birthday cupcakes together. She was still getting sick, but wanted so much to be normal,” Maggie said. In addition to her work at Children’s Hospital, Maggie joins Ruth in teaching classes at the University of Tennessee at Chattanooga — helping future Child Life experts develop their skills. Most recently, Maggie returned to work after some well-deserved time away with her healthy, happy twin baby girls. Lauren’s adventure at Erlanger Health System began with a job during college at e-Kids Learning Center. 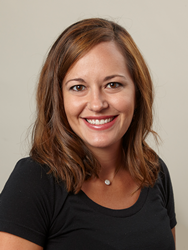 A University of Tennessee at Chattnooga (UTC) grad, Lauren now holds a degree in Human Ecology: Child and Family Studies. 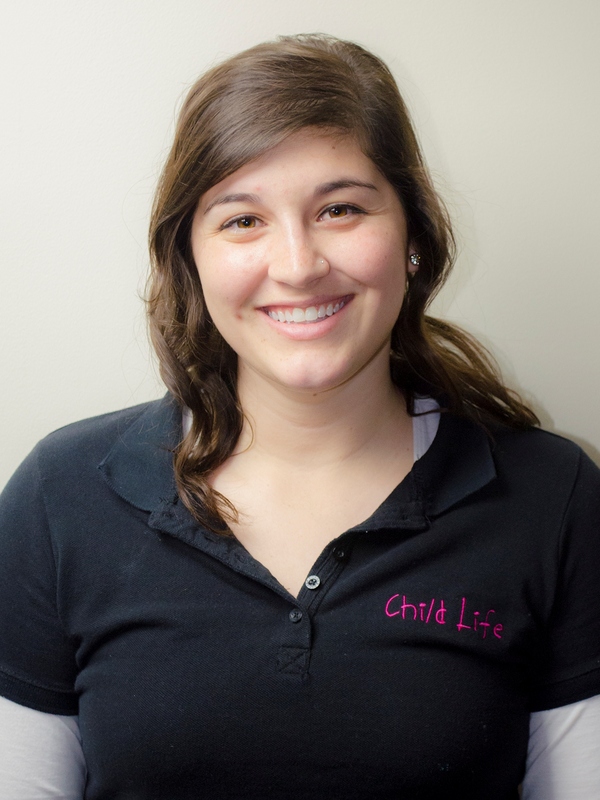 Her experience volunteering with Maggie and Ashley in Child Life, as well as fundraising with Emily’s Power for a Cure helped to solidify this career choice. 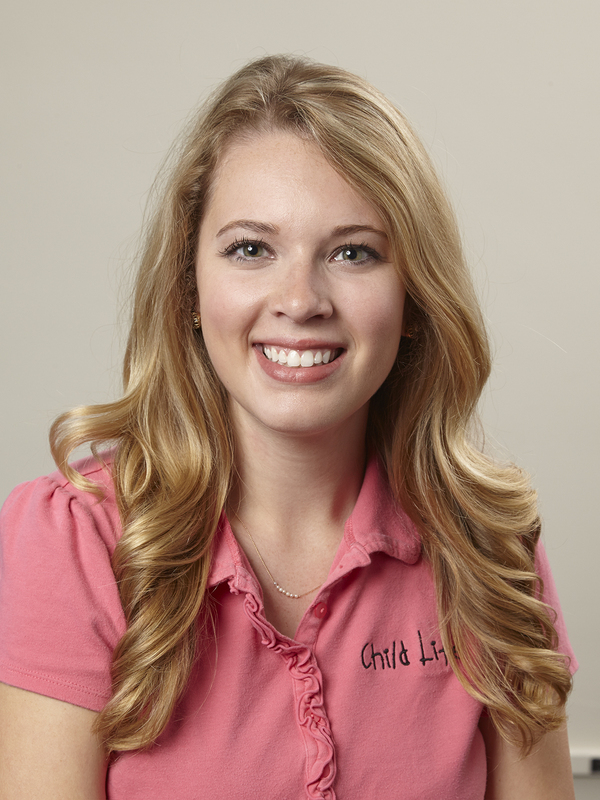 After an internship at Vanderbilt University, Lauren joined the Child Life team at Children’s Hospital at Erlanger. 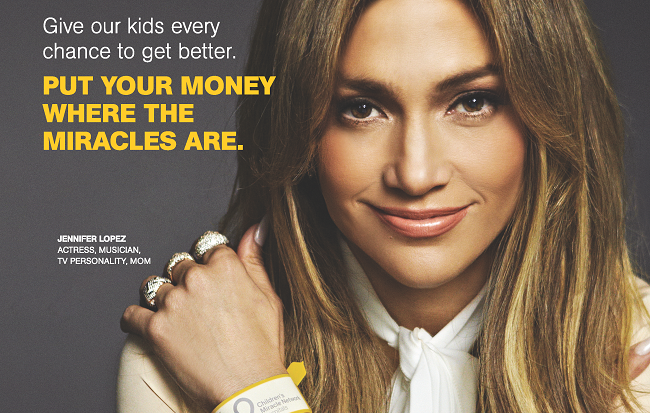 Child Life relies heavily on donations from the community to help them make the most of a child’s hospital experience. To learn how you can help, visit our Child Life Wish List on childrensaterlanger.org. You all are the greatest and you really do brighten up a bad day! Keep up the excellent work!! I miss the patients, the nursing staff, the doctors, and my co-workers. Perfect department full of energy and smiles!